Kim told his 739,000+ followers to buy precious metals and cryptocurrencies. You can see them arguing on Twitter about gold, the euro, and Bitcoin. Dotcom is not the only one uttering these warnings. If you prefer mainstream reports, search for 'crash is coming' and you will see dozens of outlets anticipating an enormous, unparalleled stock market crash. Whether they are right or not, why they are saying this now, and where Dotcom got his statistics are subjects for a future post. Another site with information on cryptocurrencies is CoinGecko. Among the top 15, EOS was recently in the headlines because 1 June 2018 marked the end of a year-long Initial Coin Offering, which raised an incredible USD $4 billion. Dogecoin creator Jackson Palmer warned investors against EOS, which he believes has "zero utility." Investing in these technologies can be time-consuming, addictive, exciting, and risky. Some coins' wallet downloads have viruses, or set off false virus alerts. But there are great profits and potentials to be found here as well. 1 week left until our free introductory course - MOOC 10: Introduction to Digital Currencies - dedicated on the fundamentals of #blockchain technology! You can register at https://t.co/xdel79tGTl and join us on a fascinating learning experience with @aantonop and @polemitis! There are a lot of online courses available, like this one from Ivan on Tech, but up until now, learning about cryptos mainly required that you figure them out yourself. Established educational institutions have only begun to respond. 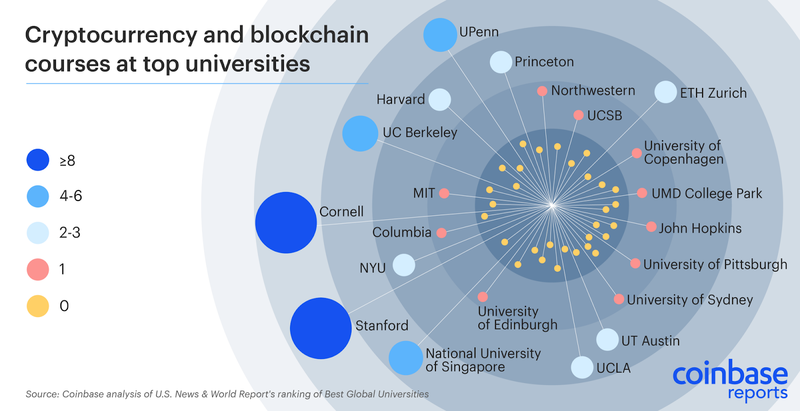 Coinbase recently conducted a study and found that 42 of the world's top 50 universities now offer at least one course on blockchain technology or cryptocurrencies. Why do we need to learn about cryptocurrencies now? 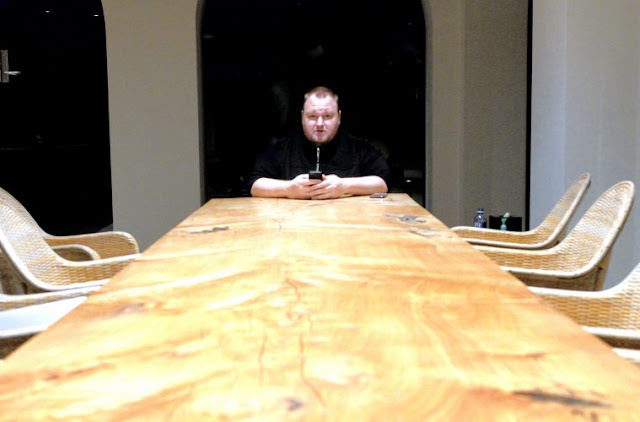 There is more to Dotcom's warnings than meets the eye. This is not 1929. This is not 2008. Dotcom is not talking about a depression, recession, or downturn. He's talking about the transformation of everything, the whole global system. While anti-Americans will applaud, the outcome is completely unpredictable. Millions, perhaps billions, could starve and die before the multi-year process is done. Currency represents a potential to do things. Every currency carries within it a particular philosophical modality. A dominant currency lets you live in certain ways, but not others. A strong enough currency can shape an age and the end of that currency marks the end of that age, the negation of that way of doing things, the removal of that way as a meaningful option. A crash of this magnitude will also sweep away the current ruling classes. If this system crashes, it will happen in part because those in positions of wealth and authority have profited while failing at their responsibilities for decades. It will also happen simply because their day is done. The old system, its leaders, its ideas, and its tools are unsuited to present human conditions. Current realities may require that people live, think, and feel in different ways than they do as defined by the US dollar. And if the US dollar will not be the global currency of future technological internationalism, what will replace it? The answer lies less in obvious candidates, and more in recognizing the currency which enables us to live in new ways. The material world is superficial, cold, and mechanistic. 'Time is money' turns us into robots. The amount of debt is equivalent to the combined size of holes in our hearts and souls. It's not that any alternative will provide the perfect solution, but whatever emerges on the other side of collapse and war will offer ways to live differently than we do now. Thus, if the observers are right, this is not just another predicted downturn. It's not just about moving your money or property to safeguard your wealth, assuming you have wealth to safeguard. It's about redefining what wealth is, and how you relate to that redefined entity. As if understanding this intuitively, Dotcom became philosophical on Twitter this month. Reading the news these days makes one wonder how humanity has drifted into this darkness. Evil is dominating. Good is disappearing. Growing up an optimist is becoming increasingly difficult for young people. An emotional ice age of frozen hearts and souls. How can we change it? See all my posts on the Redefinition of Currency.